Home Lifestyle Arts & Entertainment a la Liberace! Virtuosic piano medleys, larger-than-life singing sensations, and feverish doses of comedy. 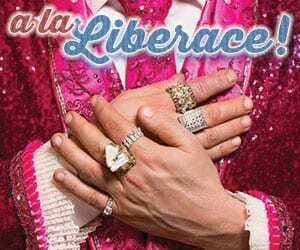 The “a la Liberace!” variety show features the songs of legendary showman Liberace and other musical greats. Classical pianist David Saffert stars as Liberace (style, mannerisms and piano chops included), and is accompanied by Jillian Snow Harris giving spot-on performances as Bernadette Peters and Liza Minnelli. Along with Bo Ayars, Liberace’s music director for 13 years, they delight audiences with a show like no other. 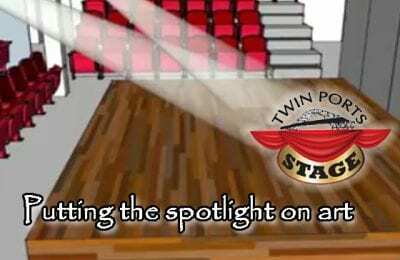 Additional musicians will include Greg Kehl Moore (woodwinds), Earl Salemink (trumpet), Dave Budimir (trombone), Vince Osborn (bass) and Brett Jones (drums). Sept. 23 and 24 at 7:30 p.m.; Sept. 25 at 2 p.m.
For info, call Rubber Chicken Theater 218-213-2780. For ticket reservations, call the University Theatre Box Office 715-394-8380. 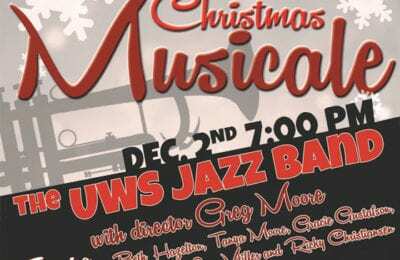 Tickets may be purchased at the Box Office in Holden Fine and Applied Arts Center. Box Office: The box office is located in Holden Fine and Applied Arts Center. The box office can be reached at (715) 394-8380. Hours are Wednesday, 11 a.m. – 3 p.m. and Friday, noon – 3 p.m. If you need immediate assistance, please call the Department of Communicating Arts at (715) 394-8369.